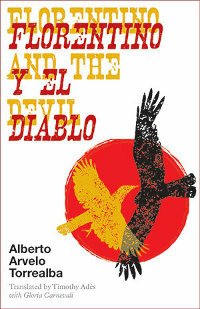 Florentino and the Devil , Alberto Arvelo Torrealba, Shearsman Books, November 2014. Translated from the Spanish by Timothy Adès, with Gloria Carnevali (Bilingual edition). Florentino and the Devil, a famous poem in Venezuela, is the story of a poetic duel, a contrapunteo, between Florentino, a llanero (a cattleman of the plains) and The Devil. Singing to a traditional joropo accompaniment on harp, four-stringed guitar and maracas, the contenders improvise rapid rhymes, trading thrust and counterthrust like swordsmen, showing off their mastery and boasting of their accomplishments, each trying to reduce the other to silence. Alberto Arvelo Torrealba, 1905-1971, was a poet in the tradition of the “Bards of the Plains”. Born in Barinas, he taught Spanish language and literature and published his first volume of verses, Música del Cuatro, in 1928. In 1940 the first version of Florentino y el Diablo appeared in his Glosas al Cancionero. A lawyer and educator, he became President of the State of Barinas and of the Technical Council of Education, a Judge of Appeal, Ambassador to Bolivia and to Italy, Minister of Agriculture and Stockbreeding, and a member of the Academia Venezolana de la Lengua. Here at last is his Florentino y el Diablo in a remarkable English version. Gloria Carnevali, the former Venezuelan cultural attaché in London, has advised the award-winning rhyming translator Timothy Adès. Her commentary on the poem is a masterly pen-portrait of the world of the cattlemen on the great parched and flooded plains of Venezuela.